The Sago Palm dates back to the Mesozoic Era, when dinosaurs roamed the Planet, and is not a palm at all, but really a cycad. Cycads and Palms have similar characteristics however they are different plants that come from a different family, or genus. Originally from Japan, the Sago Palm can now be found throughout the United States and much of the world. Whether your growing them inside or outside, they make a delightful statement of greenery. Also known as living fossils, the Sago Palm are a slow growing and usually outlive its owners, sometimes living over 200 years. Some great characteristics of the Sago Palm include its ability to withstand cold, drought, and transplant. The Sago Palm is a cold hardy palm that can survive brief periods of freezes and cold snaps. The Sago Palm also needs minimal care when it comes to water and feeding. The Sago is also easily transplanted and acclimates to its new environment rather well. As the Sago matures, it will become either a female sago or a male sago, each having its own characteristic. The male characteristic of having a flat crest at the top of the trunk and the female having a cone on the top of its trunk gives the Sago Palm the ability to create its own uniqueness. The botanical name for the Sago Palm is Cycas Revoluta which means Cycas, referring to the genus or family, and revoluta translating to curl back. The Sago Palm leaves curl back or furl back as they develop from the trunk. 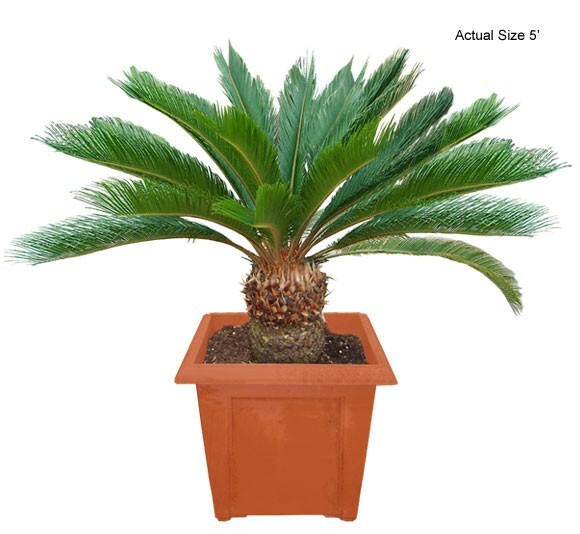 The Sago Palm is an amazing plant that has survived throughout ice ages and now can be used throughout your landscape or home to bring in memories and maybe even a family heirloom. 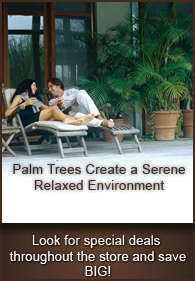 Note: The seeds produced by the Sago Palm tree are poisonous to dogs.